In 1992, the Experimental Aircraft Association (EAA) started a program called Young Eagles which offers flights in general aviation aircraft to kids of ages 8 through 17. These flights are offered at no cost, through the generosity of EAA volunteers. To date some 1.5 million (!!!) Young Eagles have been introduced to aviation through this program in more than 90 different countries. These missions have been flown by some 40,000 volunteer pilots. Many of you will know the actor Harrison Ford from his roles in movies such as Star Wars, Indiana Jones and the Temple of Doom, and Clear and Present Danger (to mention just a few). But what many people do not know, is that Harrison Ford is an accomplished pilot and EAA member who has flown some 250 kids on Young Eagle flights. 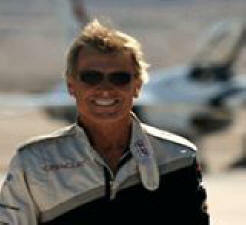 He was also the Chairman for the EAA Young Eagles program for four years starting in March, 2005. In September 2009, Captain Chesley "Sully" Sullenberger and First Officer Jeffery Skiles - famous for their heroic emergency landing of an airliner in New York's Hundson River just 8 months earlier - became the current co-chairs of the program. Pictured from left to right are Sullenberger, Skiles and Ford. Previous EAA Young Eagles Program chairs include Oscar winning actor and avid pilot Cliff Robertson (1992-1993) and aviation legend Chuck Yeager (1994-2003). 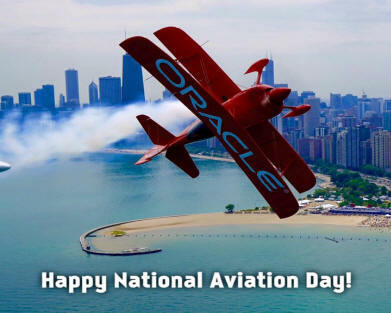 Many FFCAP members who belong to the EAA donate their time and aircraft for these events, while many other FFCAP members remain on the ground to provided logistical support for these events. Fallbrook Air Park usually hosts Young Eagles events twice a year through the efforts of FFCAP volunteers in conjunction with the French Valley EAA Chapter 1279. The dates typically fall on a Saturday in the months of April and October. Our next Young Eagle event will be held on April 15, 2017. Participation is normally limited to kids who are pre-registered, including overflow from prior events. If you know a youngster who would like to take his/her first ride in an airplane, please contact Young Eagles Coordinator Peter Griffiths by e-mail at peter.griffiths@roadrunner.com. Provide name, age, address, phone number, e-mail address and adult contact. For additional information and to register online for this event, please click here. Click here to visit the picture gallery hosted on EAA Chapter 1279's web site to see photos from the past event.